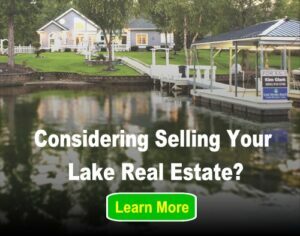 Rest and relaxation are major components of the lake lifestyle, which is all about enjoying life and leisure. When the weather’s cool and the leaves are falling, what better way to do that than curling up with a good book? In the summer, we gave you a list of some light-hearted novels to enjoy while sunbathing lakeside. But in keeping with the solemn mood of autumn, we’ll take a look at some books with a darker edge. Now grab a warm blanket, pick a seat with a waterfront view and dive right into these four moody narratives. William Kent Krueger’s suspenseful debut novel is a perfectly thrilling autumn read. 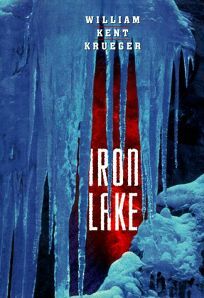 Set in frigid Minnesota lake country, Iron Lake reveals the dark side of a small town’s sparkling snowy landscape. It’s safe to say Cork O’Connor, former sheriff of Aurora, Minnesota, has sunk to rock bottom. Disaffected by a nasty divorce/custody battle and haunted by past mistakes, caffeine and guilt fuel his half-lived existence. As a cop on Chicago’s South Side in years past, there isn’t much that Cork hasn’t seen. But life finds ways to surprise you. A brutal murdered judge and the disappearance of the community’s all-American boy sends the small town of Aurora reeling. Suddenly, the former sheriff’s life is jolted by scandal, corruption and conspiracy. As O’Connor digs for clues to solve the mystery, his obstacles grow taller. Not only must he defy high-powered locals trying everything to thwart his plans, but he has to do it all while navigating a lakeside blizzard that’s buried the whole town. In the midst of his quest, however, O’Connor happens upon a town secret not even Chicago could’ve prepared him for. This suspenseful whodunit is ideal for those chilly, rustic-colored autumn afternoons. After all, everyone loves a classic murder mystery, right? This New York Times bestseller tells the story of how fame on social media can balloon into colossal proportions in the blink of an eye. On a particularly restless night, April May stumbles upon a peculiar ten-foot-tall sculpture unlike anything she’s ever seen. The odd part is this figure seems to have appeared out of nowhere. Fascinated and unaware of its significance, April and her friend take a video with the sculpture and uploads it to YouTube. What she didn’t know was these mysterious, alien sculptures showed up overnight in cities all around the world. The next day, April awakens to viral fame and a life that is forever changed. 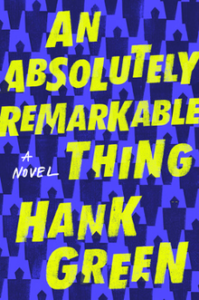 An Absolutely Remarkable Thing relevantly explores how social media is making a lasting impact on our culture. Green comments how we as a society deal with fear and the unknown, as well as how dehumanizing fame can be. 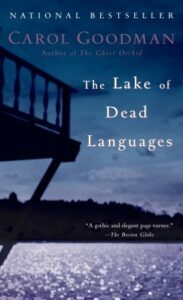 This thought-provoking fiction is an appropriately bold account of cultural oddities in the 21st century. 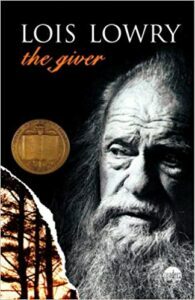 While it may be a young adult novel, The Giver is a must-read for all ages. The Community–a dystopian society in the near-future–is a place of uncompromising equality. The Elders have eradicated everything from colors and emotions to climate and memory of human history to enforce “sameness”. And much like a beehive, all citizens of the Community have a set-in-stone designated role, assigned from birth. Lifelong job assignments, however, aren’t given until the age of 12. It’s then that Jonas learns he is to be the next Receiver of Memory. As Receiver, his job is to advise the Council of Elders on laws from a place of wisdom and perspective. The high-status position requires Jonas to be trained by the former Receiver–the Giver, a wise yet mysterious man. During his training, Jonas gains access to all the knowledge forbidden to everyone else in the Community. Not only is he now able to read books–almost all of which are banned–but the Giver bestows upon him a tragically beautiful gift. In a dizzying psychedelic journey, Jonas receives all the disallowed memories of human history. Suddenly his sense are shocked awake by alien concepts: the sights and smells of an ocean; the magic of a rainbow; the coldness of snow. As the memories flood in, he also learns of war and famine. He learns to feel emotion. And for the first time in his life, Jonas can see in color. Now he’s on a mission to make the rest of the Community see it too. The Giver is a timeless commentary on the interconnection of pain and pleasure and the importance of individuality. As freshmen at the Heart Lake School for Girls–an isolated boarding school in the Adirondacks–Jane Hudson and her two roommates were best friends. Between sneaking out past curfew and performing half-serious rituals on the lake’s shores, the three were inseparable. But just before graduation in the dead of winter, a ghastly triple suicide changed everything. Jane, the lone survivor, left the school after that, packing away all memories of that dark turn of events for more than two decades. However, twenty years after that unspeakable tragedy she returns to the school–this time as a Latin teacher–in hopes of a fresh start. But as long-forgotten secrets are revealed and copycat tragedies ensue, Jane is thrust back into the life she thought was safely behind her. This daring thriller and national bestseller begs the question: can you ever really escape the past? For those days when it’s just too cold to enjoy the lake, curl up with a hot drink and indulge in these four well-written masterpieces.